MySpace could have been as big as Facebook (FB) or YouTube -- and Rupert Murdoch blames himself. 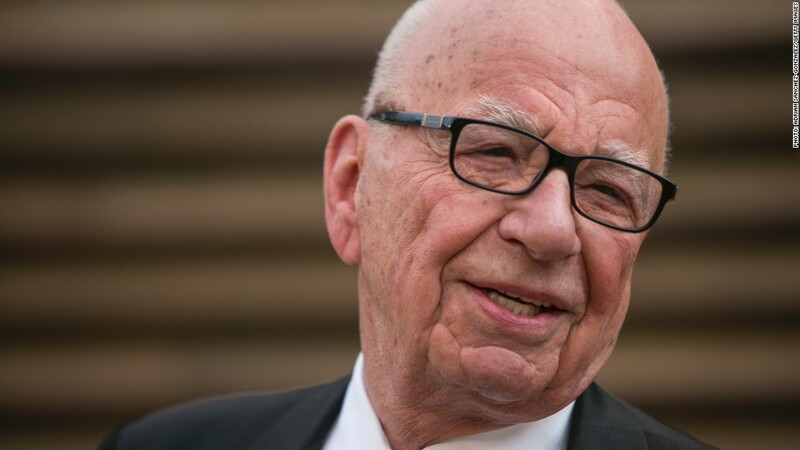 "We just messed it up," Murdoch said at the Wall Street Journal Digital Conference in Laguna Beach, Calif.
News Corp (NWS) acquired the burgeoning social media site when it was "growing like crazy" in 2005 for $580 million -- and sold it to Specific Media in 2011 for a mere $35 million. It was a costly bet that ultimately turned into a "series of expensive lost opportunities," he said Wednesday, on stage with Carlos Slim and the Wall Street Journal's Gerard Baker. "This was just ahead of Facebook, and [MySpace was] just about to start a video service, which would have been three months ahead of YouTube," he added. "[But] we took bad advice. We put in a layer of bureaucracy." Murdoch said News Corp should have "had faith" in Myspace's existing management -- or replaced it entirely. Just last month, Murdoch made a major investment in digital real estate, which he called a very "fragmented market." News Corp acquired online real estate business Move Inc for $950 million. "We have a lot of work to do," he said. "We have big hopes for that." "Newspapers used to survive on classified advertisements, real estate, jobs," said Murdoch, whose company also holds majority ownership of Australia's REA Group Ltd. "You can do a much, much better job in selling houses, or enabling people to sell houses, with a website than you can with a small ad [in newspapers.]"